If you play something he doesn’t like, boy, he’ll put a look on you you’ll never forget. Neil hires some of the best musicians in the world and has ’em play as stupid as they possibly can. Neil Young famously likes his drummers to play simple. Sometimes it feels as many as half his songs are built on the same rhythmic chassis: boom-boom tssch, boom-boom tssch, about 80-90 bpm. It’s his feel, and he’s always made it work for him. It’s impossible to tell whether he adopted it because it was all Crazy Horse’s Ralph Molina could play, or whether he suggested it to Molina, but either way it stuck. He said to me, “I don’t want any right hand” – no cymbals – which was really tough for me, because I was havin’ to think about what I was playin’ rather than lettin’ it come natural. That’s Kenny Buttrey (taken from Jimmy McDonough’s Shakey*), who occupied Young’s drum stool for Harvest and its quasi-sequel Harvest Moon, talking. Buttrey was a successful Nashville drummer who’d played on the R&B track Anna (Go to Him) by Arthur Alexander in 1962 and crossed over into rock with his appearance on Blonde on Blonde. Buttrey’s best performances on that album are things of wonder – country funk with a great-feeling backbeat. He’s wonderful on Visions of Johanna, Most Likely You’ll Go Your Way and on more delicate tracks like Just Like a Woman. However, it’s not nit-picking to say that he didn’t quite have the right authority for Pledging My Time and Leopard-Skin Pillbox Hat (compare the oafish but so much more physical take from the 1966 tour with the Hawks – the “Royal Albert Hall”** show with Mickey Jones on drums. Compare also how much more satisfying Bobby Gregg’s heavier performances on Highway 61). Buttrey, then, wasn’t a great pick for live heavy-rock shows, as would become apparent on the Time Fades Away tour, but fantastic in the studio with the right kind of material. Having been at the forefront of the early crossover between rock ‘n’ roll and country music on subsequent Dylan records John Wesley Harding and Nashville Skyline, though, made him a natural fit for Young’s Nashville band the Stray Gators, even if, like Tim Drummond and Ben Keith, he was brought in by producer Elliott Mazer because the guys he really wanted all spent their weekends fishing. And, appropriately, my Buttrey choice – and really it could have been any one of another half-dozen tunes, since the differences in beat are often minimal – is Out on the Weekend, Harvest‘s opener. Like most of the Harvest material (the time and tempo changes of Words (Between the Lines of Age) being the obvious exception), Out on the Weekend allows one to play the fun game of listening out for the little licks and subtle variations Buttrey tries to sneak in without Young noticing: the odd little semi-quaver stutter on the kick, a little bit more of that dreaded right hand, in the second half of the second verse. Kenny Buttrey’s work on Harvest is a reminder that while playing to a demanding artist’s specifications may be an ordeal (what first-call Nashville player would cheerfully submit to being transformed into a Ralph Molina clone? ), it can pay huge artistic (and financial) dividends. *I’ve retained the punctuation as it appeared in Shakey. McDonough’s habit of representing a Southern accent by dropping terminal “g”s, and rendering “interesting” as “innaresting'” whenever Young says it, becomes rather wearying over 700 pages, but source material is source material. **It was actually recorded at the Manchester Free Trade Hall, but the show – with it’s “Judas!” moment – went down in legend as having been at the Albert Hall. The quote marks do appear on the record sleeve, by the way. This entry was posted in Music and tagged Anna (Go to Him), Arthur Alexander, backbeat, Ben Keith, Blonde on Blonde, Bob Dylan, boom-boom tssch, country-rock, Crazy Horse, Elliott Mazer, Harvest, Jimmy McDonough, John Wesley Harding, Kenny Buttrey, kick drum, Leopard-Skin Pillbox Hat, Manchester Free Trade Hall, Mickey Jones, Most Likely You'll Go Your Way, Nashville Skyline, Neil Young, Out on the Weekend, Pledging My Time, Ralph Molina, Richie Havens, Royal Albert Hall, Shake Sugaree, snare drum, Stray Gators, the Hawks, Tim Drummond, underrated drum tracks, underrated drummers, Visions of Johanna on October 11, 2014 by rossjpalmer. By the standards of Sessions (1967), the nearly 6-minute-long Merry Go Round is a short track. 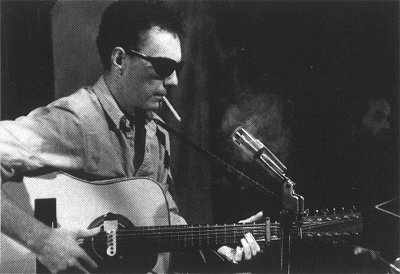 Fred Neil’s music had travelled a long way from the straightforward, very white, trad folk of Tear Down the Walls, the record he’d made in the early sixties with singing partner Vince Martin (in case that sounds dismissive, let me say quickly that it’s a record I greatly enjoy for the most part, and that Martin and Neil sounded wonderful together). 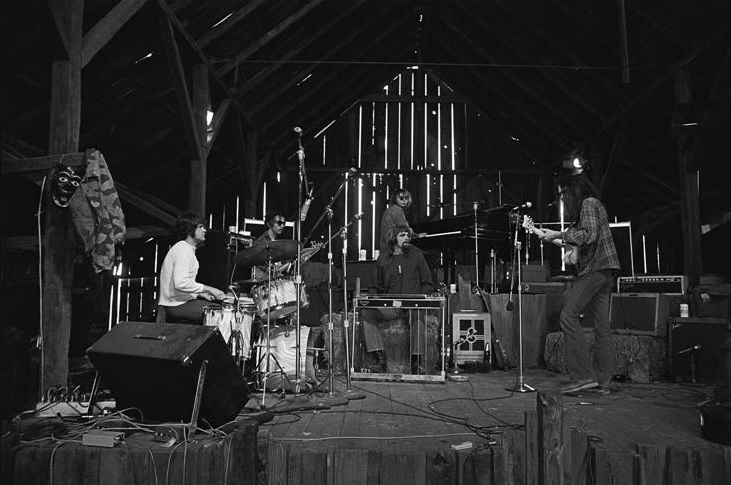 Neil’s progress continued through Bleecker & McDougal, which felt its way towards folk-rock (with the presence of an electric lead guitarist), as well as back to jug-band music and the blues (John Sebastian’s harmonica playing, which is all over the album), and even down south of the border (Felix Pappalardi’s guitarrón). It was one of the three great Fred Neil records. Better yet – maybe best of all, and certainly the one I’d recommend to anyone looking to hear him for the first time – was 1966’s Fred Neil, an album of full-on, deep-as-an-ocean folk-rock, from one of its finest writers (Everbody’s Talkin’, The Dolphins) and singers (his interpretations of Shake Sugaree, retitled I’ve Got a Secret, and Fare Thee Well, which is credited to Neil, but frankly, that’s bobbins). It’s a world away from what was brewing in a certain North London studio in 1966, but it’s one of that year’s finest records. Its clipped discipline was succeeded by the extraordinarily loose Sessions. Which is an apt name. As an album, it doesn’t cohere: it’s just a bunch of songs, recorded at a bunch of sessions. But what songs, and what sessions! The extended, improvisatory nature of Sessions owed a greater debt to jazz than New York folk; Neil hung out with jazz musicians, and their influence on him was evident in his demeanour and his syncopated strumming style (Neil is one of the truly great rhythm guitarists). But exploring these musical territories suited Neil vocally, too. His baritone had always been at home with the blues and his willingness to explore a vocal melody seemed constrained by the confines of the strophic story song and continuous two-part harmony. Rejecting a linear, narrative approach to lyrics, instead beginning with a dark joke about not being able to find the back of a merry-go-round and then repurposing the lyrics to In the Pines (also known as Where Did you Sleep Last Night?, made famous to younger generations by Nirvana’s version during their MTV Unplugged performance), Neil is working at something dreamier, deeper, more allusive, than anything he had cut previously. The album’s influence has percolated down through the years, as the great works have a tendency to: Sessions was a key record for Tim Buckley, as he made his journey away from the laughable earnestness of his early work to the far cooler jazz-folk of Happy/Sad and through to the experimental Lorca and Starsailor, and, being more widely heard than Fred Neil, Tim Buckley’s music passed the loose, risk-taking spirit and elongated song structures down to contemporary songwriters innumerable. This entry was posted in Music and tagged 12-string guitar, Bleecker & MacDougal, blues, Everybody's Talkin, Fare Thee Well, Felix Pappalardi, folk, folk-rock, Fred Neil, Fred Neil (album), Greenwich Village, I've Got a Secret, In the Pines, jazz, John Sebastian, New York, Nirvana, Sessions, Shake Sugaree, strumming, Tear Down the Walls, The Dolphins, Unplugged in New York, Vince Martin, Where Did You Sleep Last Night on March 2, 2014 by rossjpalmer.